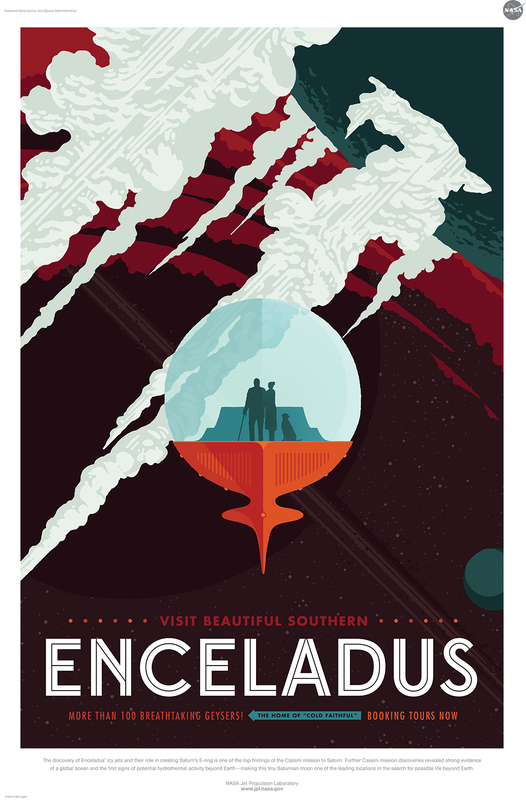 A few of the planets mentioned in this poster series by The Studio at JPL aren’t the ones you learned for your model of our solar system. 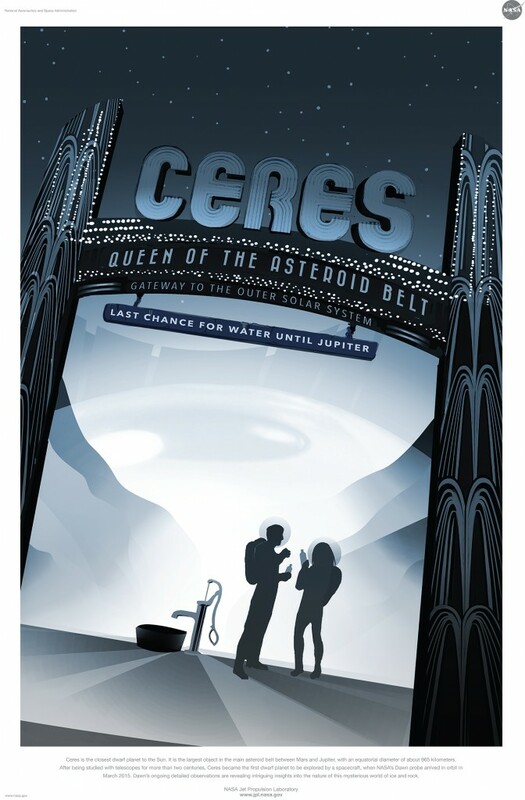 My favorite inclusion is Ceres which orbits around Neptune. 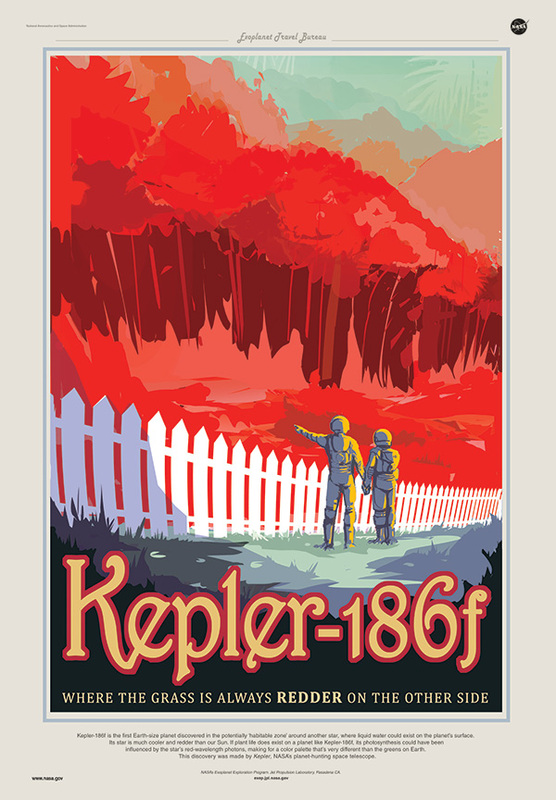 Even if you knew nothing about the planet, the poster gives the right impression. It’s a cratered surface like the moon, and recently it was confirmed by NASA that the planet does have a trickle of water. It’s quite a bit further to travel than say Mars, but it seems like it would be a potential candidate for the fictional space colonization movement. Every poster in the series is beautifully done, and they are all available for free to print. I expect every X Institute of Technology campus will be littered with them by the end of the week. If you would like to see the full collection and print off some copies for yourself please visit NASA’s website. Ha! These are hilarious! You should have mentioned they all have funny captions. These are beautiful! It’s not often you see the professional expertise of art and science mixed so harmoniously. You’re the best! Thanks for sharing these.